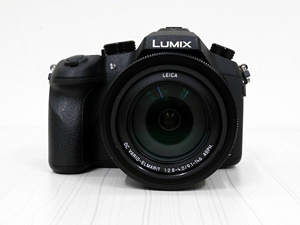 The Panasonic Lumix FZ1000 belongs to a category wrongfully named DSLR-Like cameras. Others call them Super Zooms, which is a better suited name. However, there are two cameras in that category which don't really belong in it. 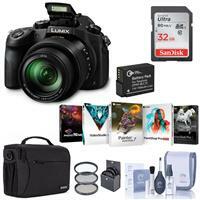 All cameras except those two have small sensors and huge zooms, resulting in generally poor image quality. The deuce are the Sony RX10 and the Panasonic FZ1000. There are two key differences which set those two apart from the rest of the gang - their sensor and their apertures. The FZ1000 and the RX10 are the only super zooms to use a 1" sensor, and on top of that - both have a max aperture of f/2.8 (the FZ1000 not all the way - I'll get to that later). So how, you might ask yourself, is the FZ1000 different from its one and only rival – the RX10. They both have the same 1" sensor coupled with a large and bright zoom, but! 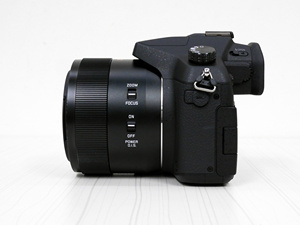 The FZ1000 has double the RX10’s zoom range, at the cost of a non constant max aperture. Still, f/4 at 400mm is more than acceptable. The second striking feature of the FZ1000, on top of it being the only camera with a x16 zoom stapled to a 1" sensor, is that it also shoots 4K video. Right off the bat, it all seems like everything you will ever need in a camera. Is it really? Let's find out. When I first laid eyes on the FZ1000, I was surprised by how large it was. 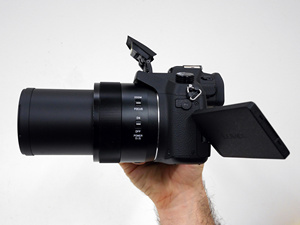 I'm used to super zooms becoming smaller, roughly the size of entry-level DSLR's. I also remembered what the smaller RX10 felt like in my hand, so I had a second surprise when I picked up the FZ1000. It was much lighter than I guessed. 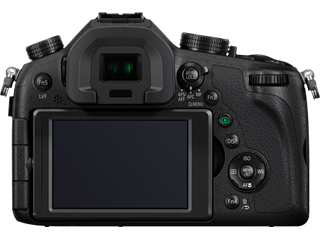 The design of the FZ1000 is very much like the GH4 - they share a similar array of controls, spread all over their bodies, like the mode dial, the drive selector on the top left and five Fn buttons. One of the main differences is that the FZ1000 doesn’t have a dial around its four way selector on the back, what it does have is a zoom rocker around its shutter button. Other than that, the FZ1000 is a bit taller and of course its lens is integral to its body. Internally, they are quite different cameras, even though they both offer 4K video, with the key difference being that the FZ1000 is built around a 1" sensor whereas the GH4 has a roughly four times larger micro four thirds sensor. Compared to the Sony RX10, the FZ1000 is larger in every dimension, but weighs not more than a few grams more. It’s surprising to hold the FZ1000 for the first time and discover that it’s lighter than what its large body implies. The body feels rigid as far as plastic allows, all buttons and dials are firm and nice, except for the two on the lens itself - the ‘zoom/focus’ and ‘O.I.S’ which are both quite flimsy. The flash pops up like a jack-in-the-box, but in spite being built on a spring, it can’t be tilted upwards for bouncing off the ceiling. More than just a tool, I found the FZ1000 to be a friendly shooting companion - allowing smart automation when needed and intuitive manual controls when desired. 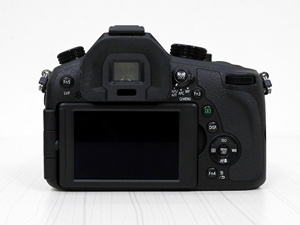 The mechanical shutter, for example, maxes out at a non-impressive speed of 1/4000 sec., but can be set to automatically switch to the electronic shutter at higher speeds, up to a useful 1/16,000 sec. 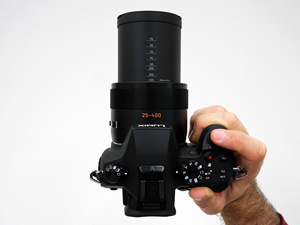 The zoom mechanism can be set to be continuous or by set steps. Its engine is very quiet, almost inaudible - that's nothing trivial considering the size of the lens it's driving. Also, you can hear the O.I.S. at work, but only late at night when there's nobody there and all is silent. I do wish the zoom ring took less turning from wide to tele, as it takes just over a full turn of the wrist to cover the full zoom range. In terms of customization, there's little that you can't do - you can set any of the Fn buttons to control any of 44 available options. Sounds too much? Sometimes it could be - for instance, you can override the four way controller to directly move the focus point, but you'd be stuck without ISO, WB and Macro. You can assign Fn buttons for them instead, but then you'd be 3 Fn buttons short. Not the end of the world, just a slight overdose of configurability. Another example would be the case when you set the lens ring to control the manual focus and the zoom lever to control exposure compensation. You're stuck with no way to zoom. The fact of the matter is that you don't really need to set it like that, since the rear dial doubles as the exposure compensation by pressing it - that makes much more sense. On the other hand, it would have been highly desirable if the dedicated filter button could be set to control different parameters, for anyone who favours less the use of filter effects. The FZ1000 is quick about most of what is does, in both shooting and playback modes. Its focus is keen to lock, so much so that with some effort I was able to catch birds in mid-air, not to mention kids running around on the ground. It doesn’t always focus quickly in extreme conditions, such as at full zoom in low light situations, so it might not be that awesome indoor sports/concerts shooter that you think it could be. Browsing through images is sometimes the Achilles Heel in a camera's performance, much more than using the menu system. The FZ1000 had no trouble with both actions - traversing images quickly, zooming in and out, etc. It was only when opening 4K videos that the camera took a few seconds to process, before showing them on screen. The image quality I observed throughout my tests was excellent, though the long end of the zoom range showed a drop in contrast and sharpness, between 300mm and 400mm. 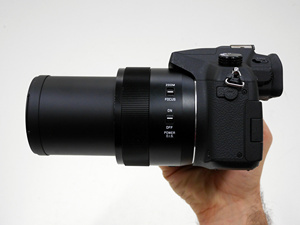 Still, taking into account the nature of this lens, its performance was exceptional. Just out of the box, I took a shot indoors, without changing any settings, using f/4, 1/100 sec. 230mm equiv. and ISO 1600. Looking at the result on my computer screen, I was forced to confront by long-time beliefs about superzooms. This image was sharp and detailed even when I viewed it at %100. In all the following occasions, I found image quality to be slightly higher than what I expected from a the 1" sensor combined with a lens of such a large zoom range. As I already mentioned, compromise was observed only at the far end of the zoom. If you are worried about what your camera can do in low light situations, and the non-constant aperture of the FZ1000's lens deters you from buying it, you'd be comforted by its high ISO capabilities. 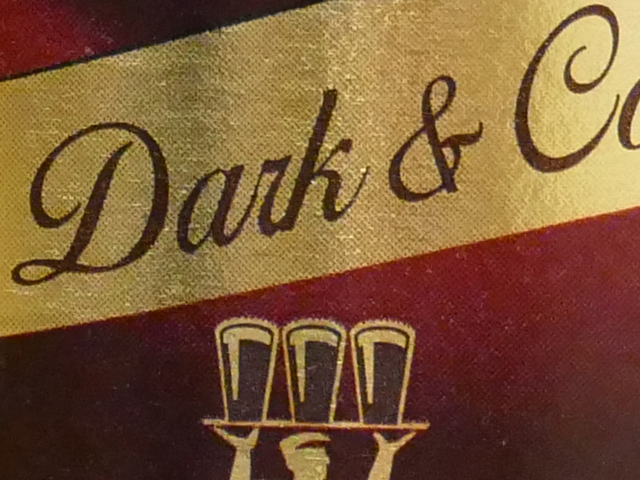 Details and colors are retained without much difference up to an impressive level of ISO 1600. Going upwards to ISO 3200 and 6400, the finest details begin to dissolve, but the total image quality is still more than acceptable. ISO 12800 is a total mess, naturally. It shouldn't be used, other than in the utmost urgent of occasions. 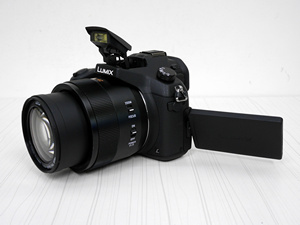 Video is the ace up the FZ1000's sleeve, trumping over the RX10's 'meagre' Full HD resolution. It offers full PASM control, focus peaking and zebra patterns. It must be noted that 4K is available only in the dedicated movie mode, which means you can't shoot 4K spontaneously, from any mode. On top of that, the various filters available in Full HD can't be applied to 4K videos. As could be expected, the frame rate in 4K resolution is 25p and the data rate is 100mbps. Full HD allows 50/60p and 28mbps. Zoom during video is slightly jumpy - not as smooth as I expected. The FZ1000 employs a 5 axis stabilization mechanism, which Panasonic are very proud of. They have every right to be - I was able to shoot video at full zoom hand-held, the O.I.S was efficient enough to deliver shake-free movie clips more often than not. If you free your mind from everything you learned about the decisive moment, capturing the scene, seizing the action, etc., perhaps you'd be able to let go of the archaic notion that you must press the shutter at the precise time. The panorama settings hide in the menus. It would have been better if they were more accessible, and if the SCN section in the top menu contained some specific panorama settings. Unlike in 4K videos, filters and effects are available in panoramas, which is a great thing. 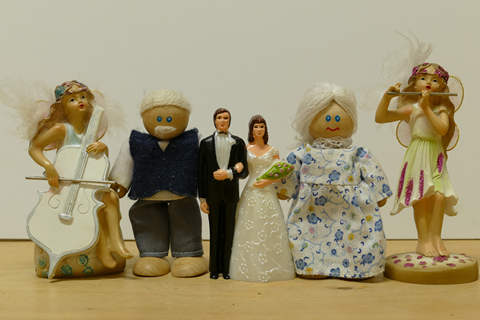 The FZ1000's created usable panoramas in most cases, seams are visible but to an acceptable level. On more than one occasion, it was sad to see such a formidable camera fail to overcome the exposure variations across the panorama scene - resulting in highly visible differences in the resulting image, such as one of the examples below. Panasonic's wi-fi UI implementation leaves something to be desired - most other companies make the connection phase easier, with less required selections and keypresses. Transferring images to your phone works fine - quick enough to rely on, for uploading and sharing a batch of photos when you need to. The interface could have been improved by allowing single click uploads once the camera is connected to your phone. Controlling the camera, however, is downright excellent. There's an expected and acceptable delay in the screen refresh rate and the camera response time. The very good news is that you can control practically anything. To top that off, you can use your phone touch screen for direct focusing and shooting, which the camera can't do by itself, having no touch screen. The ND filter is the single most lacking feature in the FZ1000. 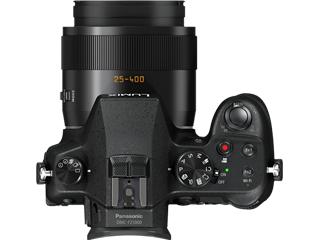 Unfortunately, Panasonic had decided not to include it, separating the FZ1000's video capabilities from those of the GH4's and inevitably, from those of the RX10's. 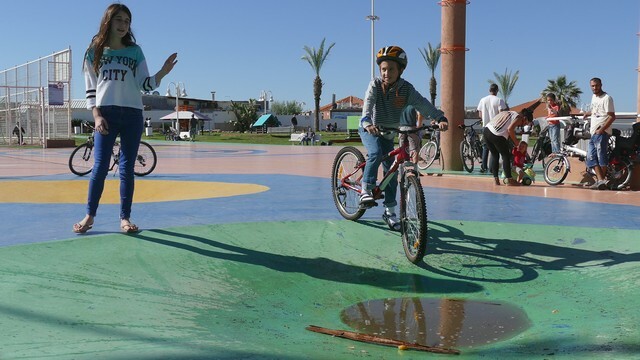 The inability to use desired low shutter speeds in video, as well as large apertures for shallow depth of field single handedly puts a bug in the FZ1000's otherwise remarkable 4K video. 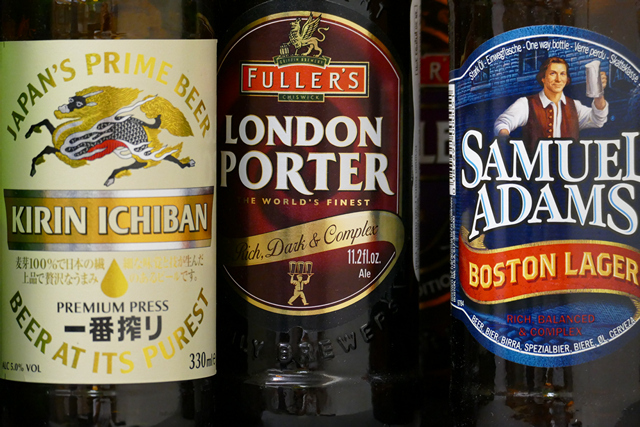 In still photography the issue less severe, since it only handicaps the DOF control in bright light. The fast max shutter speed of the electronic shutter makes it possible to shoot in every situation, other than taking a shot of the sun itself. Not every day does the camera market define a new segment. 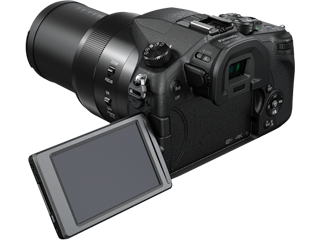 The FZ1000, together with the Sony RX10 (compare) dual handedly created a new niche - that of large zooms & large sensors. Rumor has it that Canon are planning on joining the party real soon, but according to the unofficial specs it will remain in the shadow of the other two, with no edge over either of them. The FZ1000 is an amazing camera - there's almost nothing it can't do, other than fit in your pocket of course. It's an all-in-one solution for any and every need. It doesn't attempt to compete with the best of DSLR's, not with their image quality, depth of field, etc. DSLR's, on the other hand, can't possibly compete with the flexibility that the FZ1000 offers - a x16 zoom with f/2.8-4 apertures in not included in the lexicon of DSLR's, not by a long shot. Between the RX10 and the FZ1000, it's a hard call - both have slight advantages and disadvantages compared to each other. The main point is that the FZ1000 has 4K video and a longer zoom (remember that the long quarter of it is disappointing), but the RX10 has a constant f/2.8 aperture. 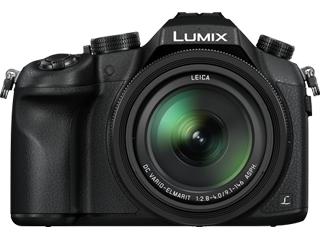 On top of that, their styles are so different, that it's a matter of personal taste - I get along much better with Panasonic's menu system than that of Sony but it's also about the body design - the FZ1000 is larger, but the RX10 feels more solid. I could say that as a rule of thumbs, I'd take the RX10 for stills and the FZ1000 for videos, although both of them are great photographic companions. 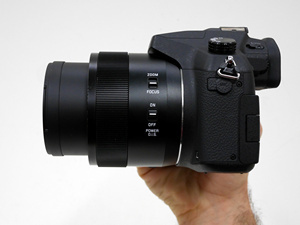 Use the Compare Tool to compare the FZ1000 to other cameras. See where the FZ1000 is placed on the Feature Graph.